Somehow someway, another week has slipped past us, and that can only mean one thing: the TNWmicrosoft 7 day roundup. More regular and dependable than an atomic clock, this post is the big news from Redmond of that last septi-day period. A short note, this week’s post has a few more ‘code-y’ entries, so feel free to skip those paragraphs if they are not to your liking. Let’s get to it! 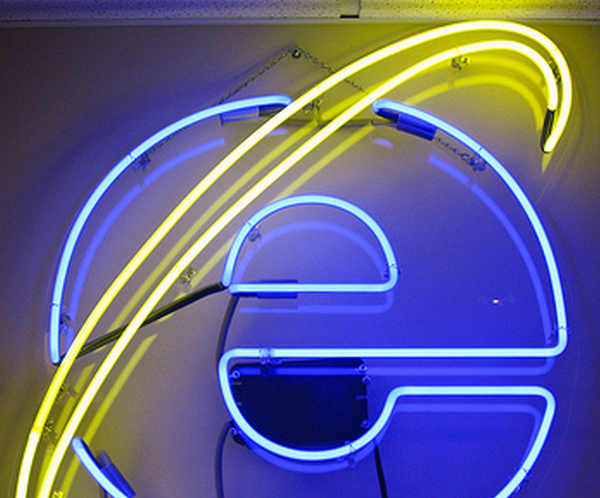 Internet Explorer 9, the future browser of the majority of the Internet using world is in fact a massive step forward. Better with standards, faster, and more secure it is a product that cannot get to market quickly enough. However, its tabs are in the wrong spot. Instead of being on top of the URL bar, they are defaulted to the side. Microsoft than took the time to add in a feature to allow users to move them below the URL bar. Now, all we need is an option to move them up top where they belong. Please? Microsoft released a great number of free and open-source products this week, the crown jewel of which was WebMatrix. It is a developer stack that Microsoft put together to help new and student developers write code and publish websites without needing to build their own development environment. We were surprised at how popular this post was, to be honest. If you want to see the other neat projects that Microsoft released, including version one of their open-source CMS, head over here. 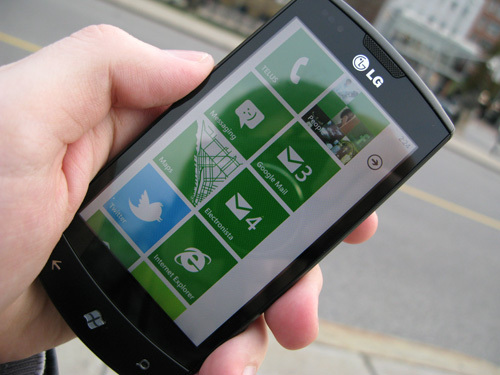 Windows Phone 7 Market Share Going Up Or Staying Flat? Chitika launched some new numbers this week that seemed to point to a mere 10% rise in WP7 market share over the holiday season and month of December. We checked our numbers and found that, at least from where we sit, WP7 is growing at a good clip. Now that the platform has a fair number of handsets in the market, we are seeing smaller percentage increases in traffic from the phone line, but are still expecting an 80% rise in hits from WP7 this month. Sure, we’re a tech blog, but heck, that is still a sharp rise. Microsoft is a company that all too often has their upcoming products outed a touch before the company wants them to be public, and Concero is just such a product. We don’t know exactly what Concero will be, but generically it is a “cloud management portal” that will “allow customers to oversee both on-premises and cloud-based services,” according to ZDNet. What really caught our eye was that Microsoft directly noted in a job posting that the product is not only to fight against WMware, but is designed to literally take their business. Go Fighting Redmond? Microsoft is challenging Apple’s trademark claim for the term ‘App Store’, arguing that the term it’s a generic name, a name that it believes Apple can not lay exclusive claim to. The move follows Apple’s attempts to trademark the term, registering with the U.S. Patent and Trademark Office to prevent other companies and rival application marketplaces from being able go under the same heading. That is all of the news from the week. Of course, keep your eyes peeled for more TNWmicrosoft around the clock when the news breaks.